There is so much to learn about the water you put in your body. That’s why Clear and Fresh Water is here to help teach you! Whether you filter or treat your water or not, all tap water contains millions of impurities. Some of these impurities you may be able to identify clearly through sight, taste or smell, but some of them you cannot detect so easily. Particles such as rust and sediment or even small air bubbles might make your water appear cloudy and unappealing, however these particles are among the harmless. However, some examples of harmful impurities like bacteria or cysts (i.e. ; giardia, cryptosporidium) might contaminate you water causing you and your family hazardous flu-like illnesses if you allow your water to go untreated. Fortunately, you have the power to combat all of the above impurities with the correct water filtration system. Not only does Clear and Fresh Water work to improve and teach you about your health but also to deliver better-tasting, clean, safe water to you and your family. Contact us today to get your water tested so that we can set up the right water filtration system for you. Point of Use Water Cooler, Floor Standing, Hot and Cold, Compressor Cooling, 115, Amps AC 5.5, Construction Polyethylene, SS, 2 Quart Hot, One Gallon Cold Reservoir, Color White, Compliance Energy Star Rated, UL rated. Point of Use Water Cooler, Floor Standing, Hot and Cold, Compressor Cooling, 115, Amps AC 5.5, Construction Polyethylene, SS, 2 Quart Hot, One Gallon Cold Reservoir, Color Black, Compliance Energy Star Rated, UL rated. 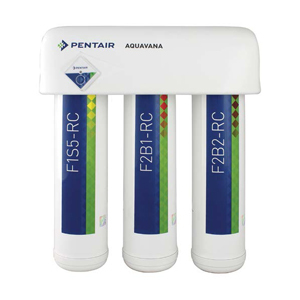 This system has been tested according to NSF/ANSI 42 for reduction of Chlorine. This system has been tested according to NSF/ANSI 42 and 53 for reduction of Cysts, Atrazine, Lead, Lindane, and Chloroform (VOC surrogate chemical). 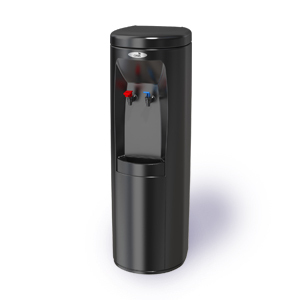 Each ZeroWater system combines five stages of sophisticated filtration technologies that work together to deliver pure-tasting water. You receive our patented Ion Exchange filter, laboratory-grade water testing meter and a guarantee to remove virtually all dissolved solids from your tap water. Clear and Fresh Water has over 15 years experience in providing you with the safest, purest water for your body. We believe that every person deserves Clear and Fresh Water. That means free from harmful contaminates that can do lasting damage to your body.